We’ve been at the forefront of Branded USB Flash Drives since 2003 and during this time we’ve supplied tens of millions of branded Flash Drives to tens of thousands of organisations all over the world. From August 2016 we’re excited to announce that we will also be offering Branded Power Banks as part of our focused product portfolio. The popularity and utility of Power Banks has grown in recent years and many of our new and established clients have asked us about this interesting and useful product category while working with us for their USB Flash Drive needs. As such, it made sense to complement our USB Flash Drive range with a striking selection of Power Bank models. 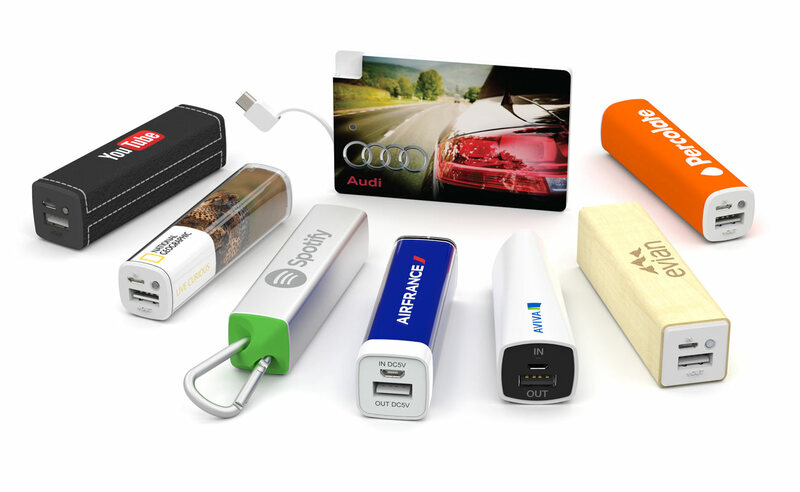 We currently offer Branded Power Banks to organisations based in mainland Europe, the UK and Ireland. We will be expanding to the USA, Canada, Australia, New Zealand and Asia in the coming weeks and months. While we remain as dedicated to our Flash Drive products and their customers as ever before we are excited to bring our outstanding Customer Service offering and complete commitment to Customer Satisfaction to a wider audience. At the time of writing we currently have 8 Power Bank models; the Element, Card, Foto, Ergo, Maple, Lux, Core and Reflex. You can view all of our models here. Each model is unique in its own way and a variety of branding methods are available, including Screen Printing, Photo Printing and Laser Engraving. If you’d like to know more about our Power Banks please fill out our Quick Quote Form. A dedicated Account Manager will be in touch as soon as possible.